Rated for up to 16000lbs. These ropes yield the maximum in strength to weight ratio while being stronger than steel cables. Unlike steel cables, synthetic lines do not store energy under stress and in the event of breakage; they do not exert the dangerous and violent whiplash action like that of a snapped steel cable. 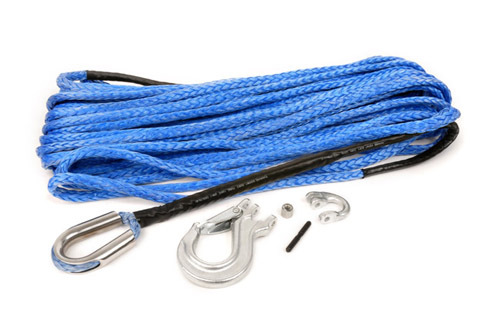 Ropes come with a thimble loop on one end with swivel hook.